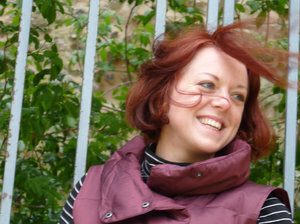 In which we showcase the UK cover and an exclusive excerpt for VE Schwab’s upcoming new book, This Savage Song. Without further ado, behold! The smugglerific cover! The first time August killed a man, it was entirely by accident. He’d come to—been born, manifested—at the school, with the black tally body bags and the worried woman who tried to shield his eyes as she pulled her coat around his narrow shoulders, and loaded him into a car. The car took him to a building where other children were being collected by their families. But he didn’t have a family, and he knew with a strange, bone-deep certainty that he shouldn’t be there, so he slipped out through a back door, and onto a side street. And that’s when he heard the music—the first beautiful thing in an ugly world, as Ilsa would say. The song was thin, unsteady, but loud enough to follow, and soon August found its source: a weary-looking man on a packing crate, wrapped in a ratty blanket. He was tinkering with the instrument, and August made his way toward him, wondering at the man’s shadow, which stretched behind him on the wall, moving even when he didn’t. It had too many hands, too many teeth. And then the man beneath the shadow held the instrument up to the light. “Who throws out a violin?” he murmured, shaking his head. Back at the building, they’d given August a pack of cookies and a carton of juice. The food tasted like white noise on his tongue, so he’d shoved the rest in the pockets of the woman’s coat. Now he dug them out and offered them to the stranger. It must have tasted better to the man, because he devoured both, and then looked up at the sky. August looked too. It was getting dark. “I can’t go home,” he answered. August knelt to retrieve the instrument. “It’ll be all right,” he said, fingers curling around the wooden neck. He didn’t remember what happened next. Or rather, he did, but it was a set of photos, not a film, stills without the space between. He was holding the violin, running a thumb over the strings. There was light. There was darkness. There was music. There was peace. And then, there was a body. And sometime later, there was Leo, who found him sitting cross-legged on the packing crate, fiddling with the strings, the man’s corpse at his feet, his mouth hanging open and his eyes burned black. It took August a long time to understand the vital thing that had happened in the gaps. “Mr. Osinger?” he called, stepping into the cluttered apartment. His violin case caught on a teetering stack of papers, and sent them sprawling in his wake. Across the room, Albert Osinger was fighting his way up a narrow set of stairs so crammed with junk he almost couldn’t pass. August didn’t bother trying to follow. Instead he shrugged the case from his shoulder, and clicked it open. He withdrew the violin with practiced ease, and nestled it under his chin, his fingers finding their positions. He exhaled, brought the bow to the strings, and drew the first note. 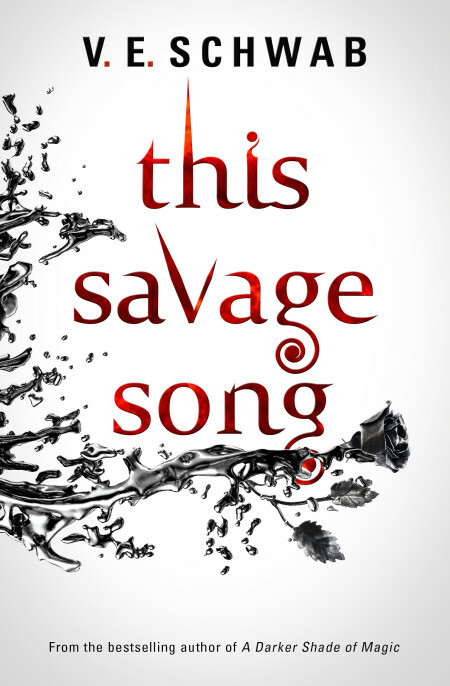 This Savage Song is out in the UK on June 7 2016. This sounds perfect for me!